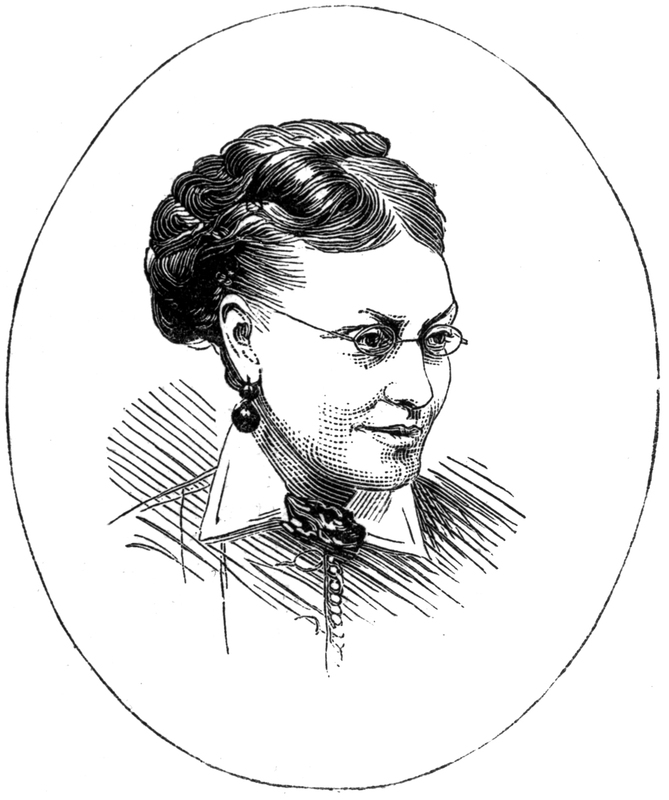 Becker was a leading member of the suffrage movement, perhaps best known for publishing the Women’s Suffrage Journal. She was also a successful biologist, astronomer and botanist and, between 1863 and 1877, an occasional correspondent of Charles Darwin. Most of the correspondence between Becker and Darwin, starting with a letter she wrote to him in 1863, concerns botany. Becker provided Darwin with specimens of plants indigenous to her home town, Manchester. She also sent detailed observations for Darwin's work on plant dimorphism. In return, Darwin responded to her questions, gave feedback on her writing and advised on where best to publish her articles. Darwin responded by sending not one but three papers to be read at the ladies’ inaugural meeting (`Climbing plants’, `Dimorphic condition in Primula‘ and probably `Three forms of Lythrum salicaria‘). Whether Darwin realised that he was providing materials for a feminist organisation is unclear, although Becker’s use of headed paper and the enclosure in her letter to Darwin of the society’s first pamphlet certainly made no secret of her political affiliations. Becker, Lydia Ernestine. 1864.Botany for novices: a short outline of the natural system of classification of plants. By L. E. B.London: Whittaker & Co.
Becker, Lydia Ernestine. 1869a. On alteration in the structure ofLychnis diurna, observed in connexion with the development of a parasitic fungus. [Read August 1869. ]Report of the 39th meeting of the British Association for the Advancement of Science, held at Exeter, Transactions of the sections, p. 106. Becker, Lydia Ernestine. 1869b. On an alteration in the structure ofLychnis dioicaobserved in connection with the development of a parasitic fungus.Journal of Botany7: 291–2. Blackburn, Helen. 1902.Women’s suffrage: a record of the Women’s Suffrage Movement in the British Isles with biographical sketches of Miss Becker.London: Williams & Norgate. EB15th ed. :Encyclopædia britannica. 15th edition. Chicago, Ill., and London: Encyclopædia Britannica. 2002. Sends flowers of a variety ofLychnis dioicawhich has bisexual flowers. Has forwarded a box ofLychnisplants to CD; gives her observations on the variations in stamen length. Gives the results of her observations onLychnis; lists four different types of flower present and their occurrence. Thanks LEB for theLychnisseed [see4258], which he will plant in the hope of fertilising the little ovaria. Comments on the two forms ofLinum. Thanks CD for previous communications. Asks him to send a paper relating to flowers to be read at first meeting of her ladies’ literary and scientific society. Sends abstract of her BAAS paper on the role of a parasitic fungus in producing bisexual flowers inLychnis. Asks CD to which journal she should send herLychnispaper and whether she may quote extracts from his letters to her. Praises MT’s observations and asks her to repeat experiments on the the relation of sexes of butterflies to the nutrition of the larvae. Is glad she will publish her observations onDrosera.